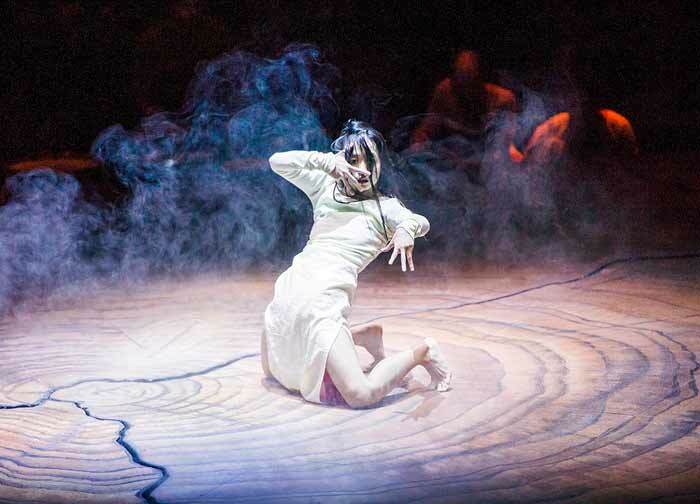 Editor's Note: Karthika Naïr was born in India, lives in Paris, and works as a dance producer and curator. She is the author of Bearings (HarperCollins India, 2009), a poetry collection;DESH: Memories, inherited, borrowed, invented(MC2, Grenoble, 2013), a dance diary; and The Honey Hunter/ Le Tigre de Miel (Young Zubaan, India/Editions Hélium, France, 2013), a children’s book illustrated by Joëlle Jolivet. Nair was the principal storywriter and scriptwriter of DESH, choreographer Akram Khan’s multiple-award-winning dance production. In her latest work, Until the Lions (HarperCollins India/Arc Publications UK), Karthika Naïr retells the Mahabharata through multiple voices. One of South Asia's best-loved epics, the Mahabharata transcends time and place, and is as much a social and political treatise as a rousing saga of gods and heroes, an interrogation of power and the fissures around concepts like justice and duty that give moral sanction to violence and war. Naïr refracts the epic through the lenses of nameless soldiers, outcast warriors and handmaidens as well as abducted princesses, tribal queens and a gender-shifting god. As peripheral figures and silent catalysts take centre stage, we get a glimpse of lives and stories buried beneath the edifices of god and nation, heroes and victory—of the price paid for myth and history, all too often interchangeable. Vikram Zutshi: Tell us about the journey that led you to the world of performing arts. 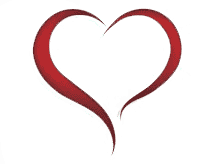 What is your area of speciality and some of the major projects you have worked on? Karthika Nair: The journey began inadvertently. I was moonlighting as a journalist for The Indian Express in Trivandrum in 1997 when the director of the Alliance Française there offered me a job as press attaché. Before I knew it, the position had grown to encompass fundraising, line production, outreach — long before I learnt those terms existed! It was an exhilarating, fecund time: we were catalysts in cross-cultural explorations and projects by giants like theatre-makers Kavalam Narayana Panikkar and Bartabas (Zingaro), ethnoscenologists Milena Salvini & Françoise Gründ; we hosted talks by Ariane Mnouchkine and toured Accrorap, the seminal French hip-hop group. Then my director sent me on a French government scholarship to do a short refresher course in cultural policy ­— and I discovered a full-fledged field of study and research; and learnt how art could be a vector for social mediation, could anchor development and urbanism. It was engrossing, and I wanted to learn more. So I returned in 2000 to pursue a post-master’s degree in art management in Lyon. The main thrust of the course was cultural development and public policy (in fact, many of my batch-mates work with city councils and regional bodies) but I wanted to maintain the direct link with performing arts, and specialised in production. In the first years, I worked on cross-arts festivals in state-run theatres and museums like the Villette and the Cité de la musique; then moved to contemporary dance twelve years ago. As a producer, the projects that I found most challenging and memorable include Les Médusés (2013), Damien Jalet’s site-responsive work for the Louvre Museum and Sidi Larbi Cherkaoui’s Olivier award-winning Puz/zle (2012), which premiered at the breathtaking Boulbon quarry during the Festival d’Avignon. As a programmer, it would be a toss-up between conceptualising the Prakriti Excellence in Contemporary Dance Awards (PECDA) in India, and commissioning La Zon-Mai (2007), Larbi and video artist Gilles Delmas’s monumental multimedia installation – on home, boundaries, the shifting nature of public and private space, and displacement – for the Musée national de l’histoire de l’immigration. Vikram Zutshi: What are the differences and similarities between traditional Indian dance forms and modern dance? Have you trained in any traditional Indian form? Karthika Nair: To answer in reverse order, no, I have not trained in any form of dance - Indian or otherwise. I was born with RDEB: Recessive Dystrophic Epidermolysis Bullosa, a rare and chronic disorder, which affects the skin and mucous membranes; they are very loosely tethered to the underlying layers, and tear with the slightest friction. That makes most physical activity a challenge: dance – or any performing art – was far from my sphere. So any answer I give you will be partial, not a practitioner’s response. It may be informed by years of watching, of working around, and writing on, dance; but not directly by the body, nor by formal academic training. To begin with, ‘modern dance’ may be a term that means different things to different people but generally, within the dance world, it refers to the movement that rose in the early 20th century, primarily in Germany and the US, that extended the idea of dance well beyond ballet, and applied new techniques – including ones from outside dance – to its corpus, also one that mirrored certain socio-political changes in the world around; so, for dance practitioners, it is today something historical, something that later gave way to another movement, and another approach to dance. In that sense, classical Indian dance forms have also evolved through time — no performing art stays completely immutable or it would stagnate and die; but change in some is akin to the formation of sedimentary rocks, slow and almost imperceptible, while with others it can be compared to extrinsic igneous rocks, the result of sudden seismic activity. Even what we recognise as Bharatanatyam today, with its proscenium-focus and schism from the devadasi tradition, is very much a 20th century mutation of sadir, also heavily influenced by the nationalist movement and its need to ‘sanitise’, as it were. 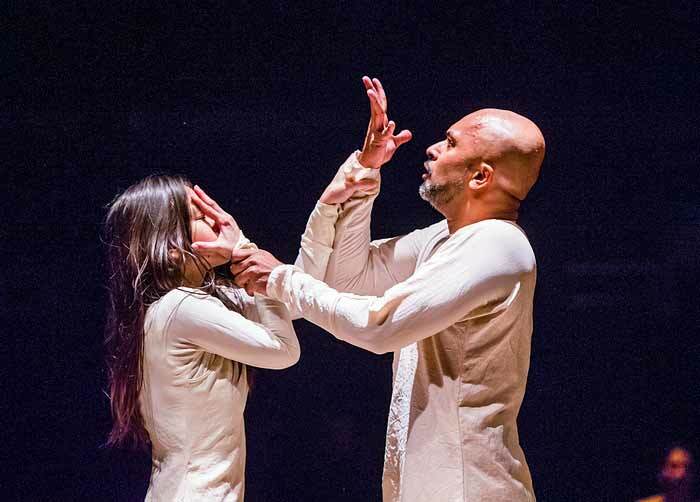 Vikram Zutshi: I'm very interested in mapping the divide between sacred dance forms based on principles derived from the Natyashastra and contemporary interpretative movement forms. Is it a misnomer to say that traditional forms are not innovative? Karthika Nair: The Natyashastra is an extraordinary tome, and the influence it bears not only on classical dance forms in South Asia, but on other art, including popular cinema, cannot be highlighted enough. Nonetheless, let’s not forget that even in ancient times, it was not sacrosanct, that a playwright as renowned and redoubtable as Bhasa infringed the rules of the Natyashastra—and to electrifying effect (what would Urubhanga be without Duryodhana dying?). That it was not the only set of injunctions for stage. I am no expert (far from it) but when I attended seminars on Koodiyattom, it became evident, for instance, that Nandikeshwara’s Abhinaya Darpana was highly influential in structuring the art, with its tenets quoted even today by performers and teachers. The more I look at the past, the more I feel that multiplicity of perspectives and guidelines and divergence of thought is not a modern phenomenon as we often pigeonhole it. And absolutisms and binaries can be very reductive; they are also more often the non-practitioners’ predilection. Most of the dancers and choreographers I know are keener on collaborating, on finding ways of entering each other’s worlds than in drawing up hierarchies. And I have seen senior warrior monks at the Shaolin Temple engage – full of curiosity and openness – with contemporary dancers, hip-hoppers dance alongside kathak exponents, master calligraphers work with animators, and seldom any reproaches on absence of innovation from one side or lack of respect for tradition from the other. There are, of course, differences between contemporary dance and classical dance forms (sacred or otherwise). One of the differences perceived – but one common to many forms of classical dance, not just Indian but Javanese and Cambodian and ‘Western’ ballet – is that lexicon and syntax tend to be more defined, more structured when compared to contemporary dance, where choreographers have – in a relatively short span of time – seized the freedom to work outside existing, established morphologies of dance. But that freedom also comes with the challenge of creating one’s own or rearranging existing structure, the need to birth another creature as it were. Then again, contemporaneity is very dance culture-specific; it differs from region to region — this cannot be overstated, I feel. Vikram Zutshi: Which are the most striking regional variations of the Mahabharata that inspired you? What were the some of cultural processes that went into these interpretations? Can you talk about the creative process that went into the writing of your book? Karthika Nair: There are far too many to list here, but Until the Lions has a full bibliography (as well as filmography and theatre/dance references). Others – not specifically mentioned in the bibliography – are oral traditions like the ones in Himachal Pradesh where Hidimbi is worshipped as a goddess, or the Jain renditions that provide a back-story to Shakuni’s venality. Koothu, Tamil folk-theatre, focuses a lot on Aravan’s sacrifice, which would not be familiar to most people outside the state but it is documented in the Parata Vempa – Peruntevanar’s Tamil retelling of the Mahabharata – as well. Interpretations, regional ‘variations’, cultural assimilation (like the Jain or Khmer or Mapilla tellings) — they are all wonderful acts of deploying the imagination on an existing canvas to represent one’s lived reality and mores. And, like the Mahabharata, which itself underwent so many changes, they seem to reflect the changing socio-cultural matrix in which they developed. As for my own creative process, well, the first two years were entirely devoted to research, and then I began writing. But the process of reading, watching, absorbing (translations, critical essays, interpretations, re-workings, adaptations into other media) never ends… it continued well through the three additional years of writing the book. Vikram Zutshi: What were some of the insights you gained about the marginalized characters in the epic and how did you go about fleshing them out? Karthika Nair: The most important one would be that Vyasa’s Mahabharata does contain just about everything, as it states; it is a question of how attentively one listens. It is anything but a Manichean narrative, and part of its enduring power comes from the constant reminder that there is seldom a single story, that dominant narratives – whether of victor or visible victim – hide so many others. It is this array of truths, and the complexity of characters – central or marginalised – that I find most compelling in the epic, and it is very much a tradition that begins with Jaya, the core of Vyasa’s Mahabharata, and is then magnified and perpetuated by all the later tellings, ancient and otherwise. It is also a brilliant, unforgiving manifesto of the ways in which we are all – whether hero or villain– often complicit in injustice, in battle. This is all too easy to overlook: that while we are victims of violence, we also inflict it almost unthinkingly, in many lethal ways; we perpetuate cycles of violence whether out of inherited hate, or righteous anger or hurt. And it is that intersection of narratives and motives, and the refracted voices that I have tried to find. Until the Lions focuses on many peripheral characters but there are central ones too, like Kunti or Satyavati or even Krishna. And my aim was not to switch binaries – which isn’t a very interesting exercise – but to hint at the ‘layeredness’ of characters. For instance, there are poems that establish Duryodhana’s growing loathing for the Pandavas, his overarching envy (through his mother’s voice, among others). Others where his qualities as an excellent ruler to his people, as staunch friend to Karna, as devoted husband, are highlighted — all of which is in the Mahabharata. We contain multitudes within ourselves. Vikram Zutshi: You mentioned somewhere that writing this interpretation was a 'political act'. Does a modern political sensibility or subaltern/minority narratives have any validity when interpreting a sacralized worldview with a unique epistemology? Was knowledge production in the classical era really controlled by the Vedic counterparts of today's elite institutions of higher learning and culture? Some would say it is necessary to study indigenous literature on its own terms ie by learning Sanskrit, to really grasp it. Conversely the epics have been reimagined by other sacred traditions such as Jainism. This is a complex and contentious area. Would love to her your thoughts on it. Karthika Nair: There are several distinct concerns and preconceptions I see in these questions, and it would be more coherent – for me while I write, at least – to address them one by one. So if I may take the liberty, I’ll just break down the above paragraph into parts. You mentioned somewhere that writing this interpretation was a 'political act'. Does a modern political sensibility or subaltern/minority narratives have any validity when interpreting a sacralized worldview with a unique epistemology? There is first the question of what actually constitutes a ‘modern political sensibility’ and how appropriate such a coinage is when levelled at an epic that never ceases to provide critiques on the events that unfold and its own protagonists, that suggests alternative moral compasses within its own cosmogony. Within the 18 parva of what we know as Vyasa’s Mahabharata, we come across something as subaltern, as radical as the Stree Parva, an entire book where the women of both clans (not just queens and royalty, but subjects), mourn their dead and rail against the futility of war (the laments interspersed with memories of connubial bliss, which again provides a startling blend of rasas), a book that culminates with Gandhari cursing Krishna, the supreme being, with the destruction of his clan and a horrible death for the untold sorrows he catalysed — a curse, incidentally, that comes to fruition. Similarly, the various episodes devoted to Karna leave us in no doubt about the injustices meted out to him for his low birth, indeed we even hear this admission from the mouth of Krishna. And ancient interpretations aren’t lacking in what we seem to define a modern political sensibility either. Bhasa – two thousand years ago, at least – imagined a scenario where Abhimanyu and his cousins refuse the war their fathers have embarked upon, refuse to kill each other. But, to return to the more intriguing concept, the ‘sacralised worldview with a unique epistemology’, even conservative mythologists and classics scholars agree that the Mahabharata is an epic that was not set in stone; that it has evolved and absorbed and edited through time. Indeed, it was defined, early on, as itihasa not as a scripture, a word that is revelatory. The earliest found manuscripts of the epic did not, for instance, contain the Anushasana Parva, which seems to have been added later — and stylistically at least, the chapters with the Bhagavad Gita also bear study, if we are interested in carbon-dating content! All of which are perfectly plausible with an epic that was transmitted orally by sutas (bards) before the later appropriation by Brahmins. These influences, as well as those from Buddhist and Jain philosophy, make themselves felt at various points, and provide at a timeline of growth, as do references to the Vedas or other scriptures. Was knowledge production in the classical era really controlled by the Vedic counterparts of today's elite institutions of higher learning and culture? Let’s look within the Mahabharata. The two names/episodes that stand out as victims of the prevalent frameworks of knowledge production are Ekalavya and Karna, whose lives are blighted because their right to skill and scholarship, to weaponry, is directly linked to their birth. Their fates are terrible harbingers of the inequality existing even today. But, once again, it is difficult to draw one absolute truth. Vidur and Vyasa are both of mixed blood, and yet have unrestricted access to knowledge (though not to power or its formal accoutrements, perhaps that is key issue). Some would say it is necessary to study indigenous literature on its own terms ie by learning Sanskrit, to really grasp it. Because some would see Sanskrit as more indigenous than Tamil or Telugu or Bangla? Is it the notion of purity, of age, or of Brahmin supremacy? We don’t all have the same references nor the same notions of legitimacy: Sanskrit has also been the vector of things less sacred and righteous for some of us, you know. It is a beautiful, complex language (and is endlessly fascinating to poets, for several reasons) but it was also the language of power, oppression and exclusion. As a matter of fact, I learnt Sanskrit as a child, heard the Mahabharata – and the Ramayana – recited, performed in that language, but also in Malayalam, and other languages. While I cherish each memory dearly, I do not value one over the other. This is a complex and contentious area. Yes, complex, and isn’t that wonderful? That there is more to discover, to learn and to question? It may only be contentious when we prefer to hold the Mahabharata as a monolith, instead of a palimpsest. Vikram Zutshi: Please recommend some books and writers that have had the most impact on you and changed the way you saw the world and your role in it..
Kunchan Nambiar, Sahir Ludhianvi, Faiz Ahmed Faiz and Gulzar. Vaikam Muhammad Basheer and Terry Pratchett: I like to imagine them having a rollicking time together in some parallel universe. David Shulman for gifting me access to Kshetrayya and his peers (with A.K. Ramanujan and Velcheru Narayana Rao), and so much more. Saadat Hasan Manto, Ismat Chugtai, Michael Ondaatje. Salman Rushdie’s Haroun and the Sea of Stories, which is my amulet. Amitav Ghosh’s The Shadow Lines, for distilling the agony of Partition into a single, unforgettable line. Orhan Pamuk’s My Name is Red, a master-class in writing through multiple voices. Marilyn Hacker’s Names and Desesperanto. Arun Kolatkar’s Sarpa Satra, which was the lodestar for Until the Lions. Jeet Thayil’s Narcopolis for blurring boundaries between prose and poetry (among other things). But a lot of seismic forces come from the performing art world. 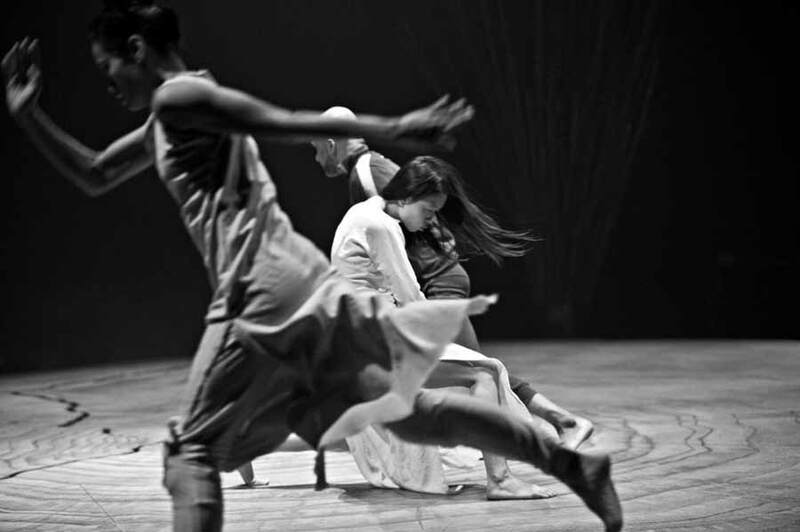 Patrice Chéreau (Son Frère, I am the Wind — in particular), Anne Teresa de Keersmaeker (Fases, Vortex Temporum), Rachid Ouramdane (Loin, Témoins Ordinaires), Gregory Maqoma (Beautiful Me), Maguy Marin ( Umwelt), Pina Bausch (Rite of Spring, Kontakthof), Jérôme Bel (for Véronique Doisneau), Sidi Larbi Cherkaoui (for being, really, but also for Apocrifu and – with Akram Khan – zero degrees) and Nrityagram (Samhära). French-Indian, poet and dance producer, Karthika Naïr is the author of four books, including the award-winning Until the Lions (HarperCollins India/ Arc Publications UK, 2015)—a re-imagining of the Mahabharata in multiple voices, and The Honey Hunter (Editions Hélium-Actes Sud/Zubaan Books, 2013), a children's story illustrated by Joëlle Jolivet and published in English, French, German and Bangla. She was also the principal scriptwriter of DESH, choreographer Akram Khan’s 2011 dance solo, and its young adult adaptation, Chotto Desh (2015). In Naïr’s résumé as an enabler, one finds mention of Sidi Larbi Cherkaoui, Damien Jalet, Käfig/Mourad Merzouki, two Olivier awards, Auditorium Musica per Roma, the Louvre, La Villette, the Shaolin Temple, misadventures with ninja swords and pachyderms, among others, many of which make their way willy-nilly into her poetry.